Diron parts supply customers OEM quality engine turbo charger used for replace caterpillar turbo,komatsu turbo and cummins turbocharger. Our trubocharger are new aftermarket high quality but cheap cost to keep your machine working. The turbocharger is actually an air compressor，that increases the intake air volume by compressing air. It uses the engine exhaust gas inertia momentum to promote the turbine chamber turbine. The turbine drives the coaxial impeller which delivers the air from the air filter pipe and pressurizes it into the cylinder. Diron parts is a heavy equipment replacement parts turbo charger dealer from china. It uses for heavy equipment cat, cummins, komatsu. aftermarket turbo charger suit for these machines. 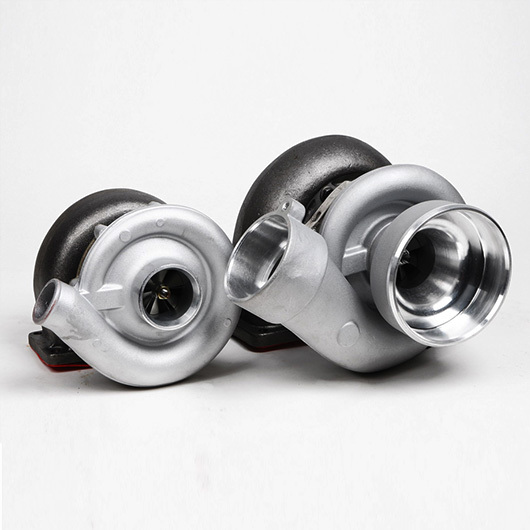 The turbocharger has four main advantages: Improve engine power, improve engine emissions, provide plateau compensation function, improve fuel economy and reduce fuel consumption. The drawback of turbochargers is hysteresis. Due to the inertia of the impeller on the throttle suddenly change the reaction, the engine delay to increase or reduce the output power, which makes a little mention of the feeling the moment there is a sudden acceleration or overtaking of the car. Turbochargers are often at high speed and high temperature work. Supercharger exhaust turbine turbine temperature at about 600℃, supercharger rotor to 8000-11000r / min high-speed rotation.